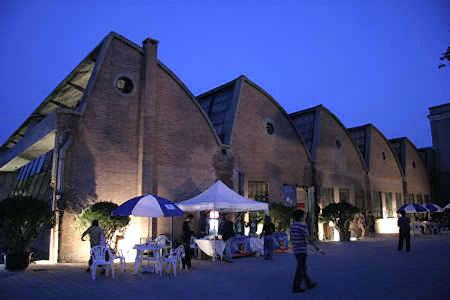 798 Art Zone in Beijing is always compared with Greenwich Village and SOHO in New York. 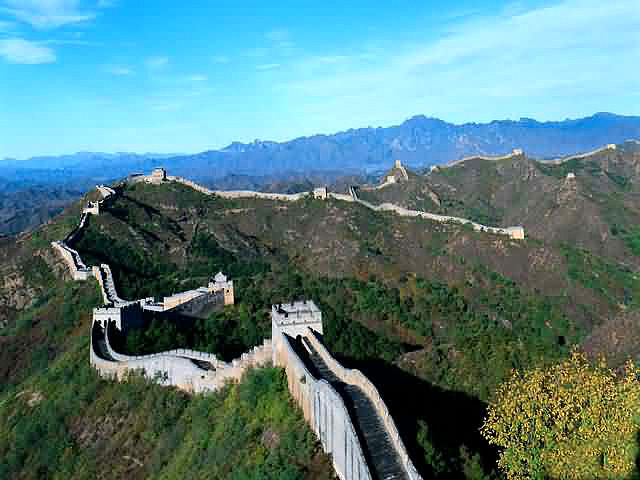 Also known as 798 Art District and DAD (Dashanzi Art District), "798" is located in the Dashanzi area, to the northeast of central Beijing. The area occupied by 798 was once the place for Beijing North China wireless joint equipment factory (718 Joint Factory), which was designed and built by the experts of former G.D.R in the 1950s. 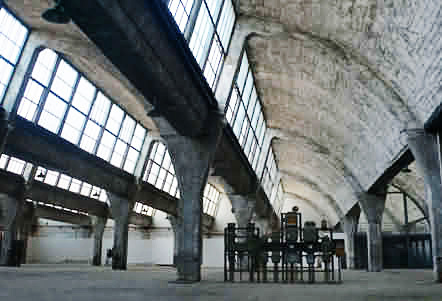 From 2001, artists in and around Beijing began to move into 798 factory because they thought the factory had unique advantage for art creates. They made use of the architecture features of Bauhaus (Bauhaus is an architecture feature in German formed in 1920s. It belongs to Modernism architectures. Bauhaus thinks much of the functions, techniques and economic effects of the constructions which are represented in 798 factory). 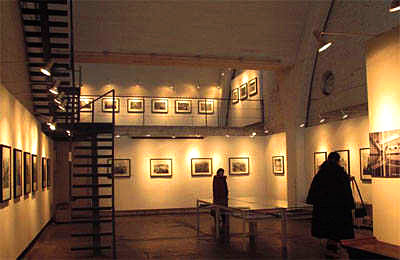 The artists decorated the factory and turned it into a special art exhibition and creative room. 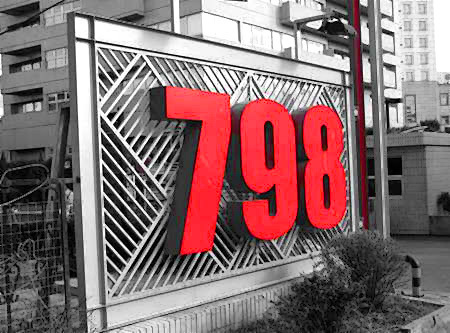 Now 798 is now becoming a cultural landmark of Beijing. 798 Space is a new rising, avant-garde and trendy space that hosts high-level cultural, artistic and commercial activities. Mottled red-brick wall,Scattered orderly industrial plants, crisscross pipelines, slogans of different ages on the wall. Uniformed workers and fashion visitors form unique scenery. History and reality, industry and the arts perfectly fit here. The art zone can hold more than 1000 guests with ease. More than 100 cultural institutions including publish, architecture design, fashion design, furniture design, music performance, film and art studios are set up here. Besides art galleries, bars, restaurants, book stores, clothes shops and Yoga centers could also be found in the art zone. 798 Art Zone was awarded as one of the 22 best city art centers by Time Magazine in 2003. As a space for all kinds of room like art galleries, centers, studios, designing companies, restaurants and bars, 798 Art Zone forms the so-called "Soho-esque" and "LOFT Living" with international features. With the combination of art, architectures, culture and the city's circumstances, "798" has evolved into a cultural concept, of interest to experts and normal folk alike, influential on our concepts of both urban culture and living space. The architecture of 798 is simple and easy, focusing on the functions of the buildings. Different from other constructions, it has huge Cast-in-situ Frame Structure and bright skylights. The come in of the artists is the result of economic revolution. Their exist represents the new relationship of individual thoughts and the social economic structure. 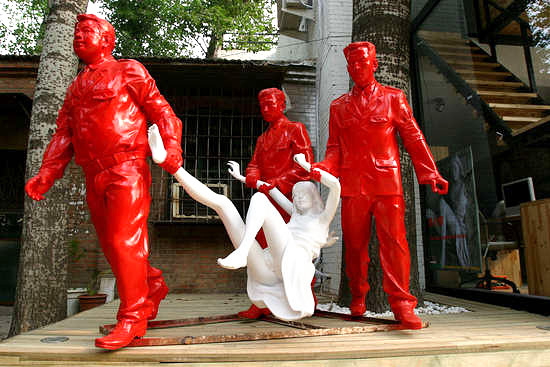 798 Art Zone helps the culture of the new generation become mature. Located in the internationally well-known Beijing 798 Art Zone, 798 Art Center(706 Hall) is the largest Bauhaus hackle hall presently. It features large distance between pails, and high elevation. Original German Bauhaus architectural style is farthest kept here so that a practical and contracted designing idea is perfectly presented. Inimitable gray vaulted ceiling with the largest elevation of 8.6m, north faced slantwise louvers maintain even and invariable daylight, which is the main feature of Bauhaus hackle hall. 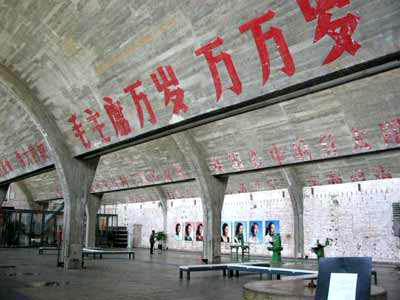 The giant vermilion slogans on the ceiling, scrap equipment and apparatus were preserved, history and art agglomerate here and bring us tremendous visual impact. The unique atmosphere for art & cultural activities has been constructed. Not only can 798 Art Center hold diversified art exhibitions, but also provide space for commercial activities. Many international brands such as Bens, Dior, Hugo Boss, Nike, Mark Cheung etc. have held promotions or press conferences here, which make their product possess creative value. 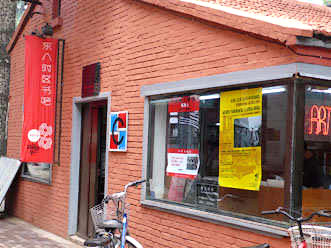 Moreover, 798 Art Center with the functions of information distribution center of 798 Art Zone can supply the latest exhibition information and the art history of 798 Art Zone for the visitors. Enjoying the paintings in a factory is really a splendid and unique experience. It can be realized in the galleries in 798 Art Zone. 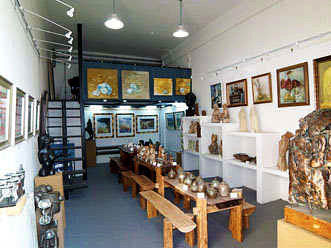 There are more than 60 galleries located in the art zone. 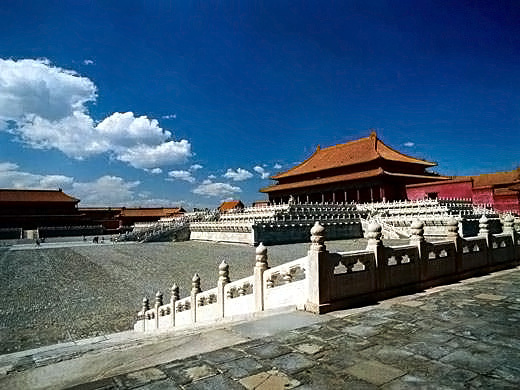 The galleries inject the energy of modern art to the traditional culture of old Beijing. 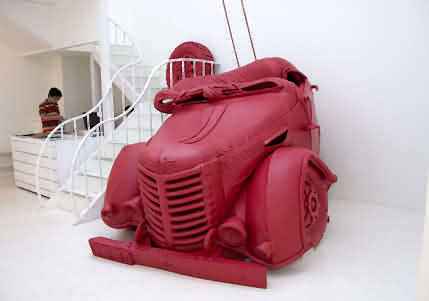 Here, you will find the harmony of tradition and modern, realistic and dream, industry and art. 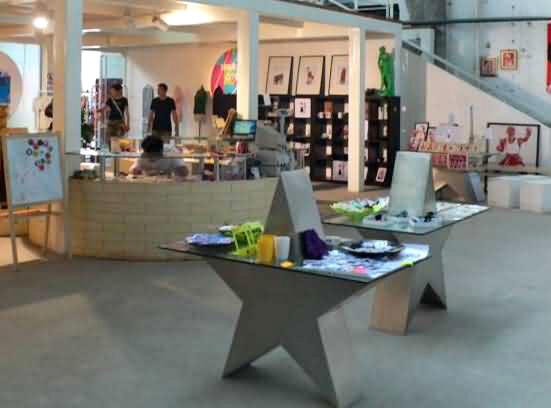 With the development of the new generation's culture in 798 Art Zone, more and more creative shops are opened in it. Those shops show the perfect match of art and life fallow, leisure and creativity. One of the most famous creative shops is 798 Creative Shop which is located at the west side of section B in 798 Art Zone. Original creative products and art products are sold here.